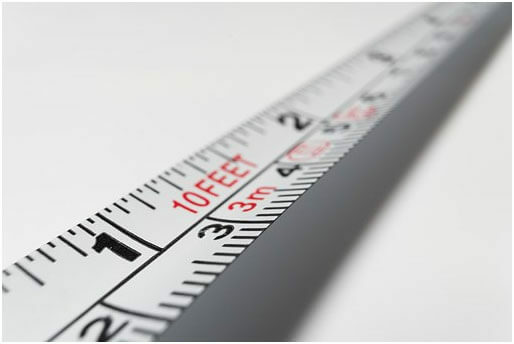 Measurement, loosely defined is the length, amount, or size of something that is measured. Long ago, the idea of a universal measuring system didn’t exist. That was, until the 18th century where measurement became a cohesive system. Before this period, countries such as France had measuring systems for nearly every profession. In 1795 the number of measurements in France alone numbered well over seven hundred. The names for many units of measurement were borrowed from human morphology. For example, the foot, the hand, the pace, etc. Still, however, these units of measurement were not standardized. As industry and trade expanded across the world, the need became dire for a single standardized system of measurement. If trade was to flourish, a unified system was necessary to create balance across the various industries and subsequently the world. If there were any measurement that has proven to be the most useful to humanity, it would be length. Examples of length include the inch, the foot, the yard, and the mile. Knowing how to measure length was quite useful for surveying land for property right purposes. Knowing the length of the land gave the precise units needed to price accordingly. To maintain a single idea of how long the measurement should be, bars or rods were kept in central public places. This measuring tool would be considered the standard and thus distributed to the community. One such example of this happening was in Mesopotamia and Egypt where rods were kept in temples. The dimensions, called the cubit, were typically taken from the king’s physical dimensions. Weight isn’t quite as simple to measure as length is. Human ingenuity has overcome the complexities of this particular measurement. It turns out that wheat, grains of wheat to be more exact, have a standardized size. Essentially, weight can be measured regarding grains of wheat. This is a method that is still used by jewelers. Just as it is done with length, lumps of metal can be kept in a public building that represents the standard weight of a given amount of grain. Unfortunately, weight can be easily manipulated in this manner. Metal can be removed from a scale thus giving an inaccurate reading of the actual measurement. 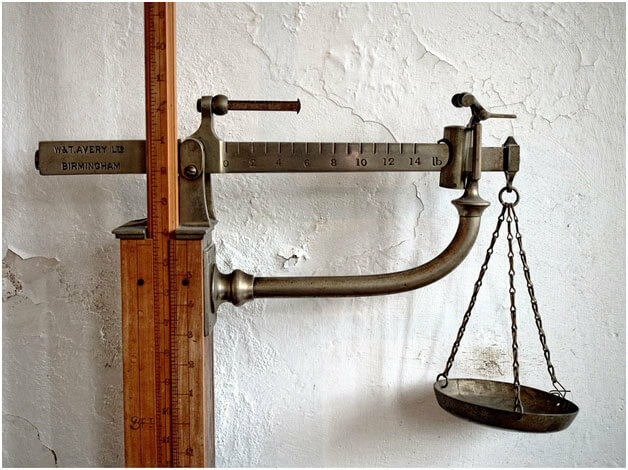 Despite the risk of scam, weights and scales are still essential to determining the accuracy of measuring weight. Among all of the units of measurement, volume is the most useful to those who deal with money such as merchants and tax collectors. Though calculating volume is the most helpful to those in the professions mentioned above, it is also one of the most difficult to measure. Attempts have been made to provide standard estimations of measurement such as crafting same sized pots, baskets, and sacks. Still, it’s quite difficult to measure the exact volume of a jar even if it appears to resemble the exact dimensions of other pottery physically. Ultimately weight is still the more reliable measurement when accuracy is needed. Time can be considered an abstract measurement. You can’t see it, and it can only be perceived through specialized means (such as a sundial). In today’s world, the concept of time dictates when we eat, when we sleep, when we work, and even certain activities such as personal relations with a loved one. For many centuries, time has been thought of in imprecise term. Throughout most of human history, we have perceived time though days and weeks. The creation of the calendar even makes it possible to chart out the length of time in a year. Back before modern technology individuals were able to distinguish the time of day by tracking the sun through the sky. For example, when the sun rose it was morning; at its apex in the sky it was afternoon and when the sun set it was night. Back during that time, it was impossible to track hours, minutes and seconds thus those particular measurements were irrelevant. As mentioned before the easiest way to track time is to record the movement of the sun across the sky. This is most easily done by measuring the shadow cast by a vertical stick. This tool is called the sundial. Sundials make it possible to make elaborate calculations. Early examples of the sundial can be tracked to Egypt around 800 BC. The main shortfall of the sundial is that it could never give a truly accurate reading of the time of day because the sun’s journey across the sky can shorten or lengthen with the change of the seasons. Known as the clepsydra to the Greeks, the water clock attempts to measure time by tracking the amount of water that drips into a basin or tank. The water clocks greatest flaw is that it relies on water as its tool for measurement. For accurate time telling, water has to be stable, which implies that the water has to be in a controlled environment. Experiments have shown that water can never be 100% stable. This means that for the sake of measuring time, the water clock was never truly accurate. However, the water clock was utilized by many civilizations for quite a bit of time. These cultures include 1400 BC Egypt, Rome, Arab, Greece, China, and Europe (16th century). Despite its use, the water clock was more regarded as a toy than a reliable tool to tell time. The hourglass uses the same principle as the water clock, but instead of water, it utilizes sand. The hourglass has been around for much longer than the water clock. One notable use of the hourglass was by the 18th-century pulpits in Britain (to measure the length of sermons). During the 14th century fragmenting the length of a day into hours was much akin to solving a math problem The day was divided into 12 segments because the number 12 can be divided by 2, 3, and 4. The idea of dividing the hour into 1/12 allowed for people to more precisely measure out their day and keep appointments. For example, noon always falls upon the 6th hour and the midway point of the afternoon falls upon the 9th hour. Telling time in this manner had the same shortfalls as using the sundial. As the seasons change, the length of time can either shorten or expand. Also, hours during the daytime differ from nighttime hours (also divided into twelve hours). Telling time in this manner did, however, reveal the spring and autumn equinox, a naturally recurring event that happens twice a year in which the 12 hours of the day is exactly the same length of the 12 hours at night. The 14th century was a time in which the meaning of the hour slowly changed. The hour was now perceived as a specific measurement of time on a smaller scale which is measured 1/24th of a full solar cycle from one dawn to the next. Thus we have 24 hours in a day. Distinguishing the 24 hours in a solar cycle alone was no longer satisfactory as the 14th century continued to progress. Soon people desired a more precise measurement of time. Dials were designed to meet this desire. Once dials were applied to the face of clocks in the 14th century, people were able to distinguish minutes. During the Middle Ages, scales were developed as tools of scientific measurement based on the number 60. Going beyond that, in Medieval Latin, there was an even smaller unit of measurement: 1/16th known as pars minuta prima (first very small part). There was also a further sixtieth of that measurement called second pars minute secunda(very small part). Thus the concept of the second was born. The useful tool that we know as the barometer came about entirely by accident. The assistant to Galileo, Evangelista Torricelli, was interested in discovering why it was so difficult to extract water from a well in which the water lay deep below the ground. For testing purposes, Torricelli filled a glass tube with mercury. He then immersed the tube in a bath of mercury and raised the sealed end to a vertical tilt. What he found next was astounding. He discovered that the mercury slipped down into the tube. He figured that the weight of air in the mercury bath supported the weight of mercury in the tube. He reasoned that the space in the tube above the mercury must be a vacuum. Torricelli first took notice of the idea of atmospheric pressure during his well experiment. He noticed that the height of the mercury in the tube varied at times (as opposed to staying at its ‘normal’ level). These variations were closely correlated to weather patterns. Thus the barometer came into existence. After his discovery, Torricelli further stipulates that air must have weight and that the higher one goes in altitude, the less atmospheric pressure there would be. Though it was Torricelli’s discovery, it would fall upon Blaise Pascal to carry out an experiment, through his brother-in-law, to prove these theories to be correct. Pascal received all of the fame and accord associated with proving these theories. During the 1700s the traditional thermometer, known as the Florentine thermometer, had been in use for more than half a century. The German instrument maker and glass blower Gabriel Daniel Fahrenheit was interested in improving the Florentine Thermometer’s design. With the original design, the Florentine thermometer depended on the expansion and contraction of alcohol within a tube (likely glass). As temperatures rise, the alcohol expanded rapidly. However, the speed was not entirely constant. This translated into inaccurate readings. During 1714, Fahrenheit created two alcohol thermometers which were far more precise than the Florentine thermometer. During that same year, Fahrenheit began to look into the experiments of French physicist Guillaume Amontons who specializes in research concerning the thermal properties of mercury. Humanity has been sailing on the open seas for the past two centuries. For some countries, their entire economy relies upon trade by sea. Of course, we can’t disregard the navigation of military seaborne vessels. It has become imperative that ship captains know how to navigate the open seas by calculating their position with an accurate tool. The astrolabe, an astronomical instrument was used to make measurements which allowed its user to navigate by calculating latitude. The issue with the astrolabe was that it was difficult to calculate longitude because the earth revolved. In 1714, the British attempted to rectify this issue by setting up a “Board of Longitude” and offered a £20,000 prize to anyone who could invent an instrument that could keep accurate time at sea. John Harrison stepped up to the plate and invented the first chronometer in 1735 at the age of 21 years old. Over the period of a quarter century, he replaced his original model three times before he underwent tests by the government. At the age of sixty-seven, Harrison passed on the responsibility of testing the chronometer to his son who took the tool with him on his journey to Jamaica in 1761. By the end of the journey, the instrument was only five seconds off. The test was a resounding success. However, the government argued that the results were merely a fluke and only gave Harrison £2500. It was in France that the final form of the chronometer finally took shape. In 1766 the French offered a large prize (issued from the Academie des Sciences) to develop a more effective chronometer. Pierre Le Roy designed a new chronometer that, after a forty-six-day voyage, is accurate within eight seconds. Though larger than Harrison’s chronometer, it was more cost effective to make. In the modern era, capacitors are used to make a variety of measurements. The electrical capacitance formed between a capacitance probe and the target surface varies as a function of the distance, or gap, between these two surfaces. Capacitive displacement sensors operate by measuring changes in an electrical property called capacitance. The actual term “capacitance” refers to how two conductive objects separated by space responds to a voltage difference applied to both surfaces. When the conductors experience an electrical current, an electric field is created between the two surfaces, causing them both to collect positive and negative charges. The charges will reverse if the polarity of the voltage is reversed. Capacitive sensors continuously change their position because they use alternating voltage. As the charge moves, an alternating electric current is created. Capacitive measurement determines the amount of current that’s allowed to flow. In turn, the capacitance itself is determined by the proximity and area of the two conductive objects. Smaller objects that are further away cause a smaller current than larger objects that are closer. It’s also important to note that capacitance can also be influenced by the type of material (non conductive in nature) that sits in the gap between the two objects. There are a number of advantages to using parallel plate capacitance sensors, especially when compared to other sensing systems. Take, for example, the fact that capacitance sensors don’t experience target distortion, mechanical loading issues, or probe and target wear because the sensor and target don’t make physical contact. Furthermore, resolution, stability, and precision match or even exceed the capabilities of laser interferometers. In most cases, the target object acts as one of the conductive objects, and the sensor or probe acts as the other. It’s automatically assumed that the size of the target and the sensor will remain the same. Thus, if capacitance were to change, it would likely be a direct result of the change between the target and the sensor. When an electric current runs through a conductor, an electric field emanates from all surfaces. During the capacitive sensor application, the sensing voltage is applied to the sensing area of the sensor. To get the most accurate measurement with a capacitive guage, the electrical field emanating from the sensing area must be contained in the space between the target and the sensor. In cases where the electric field doesn’t stay contained within the same space and expands outward, any changes in direction will be considered and measured as a change in the position of the target. To stop this from occurring, a technique, known as guarding was implemented. The concept is simple — the sides and back of the sensing area are surrounded by another type of conductor that measures at the same voltage. When the sensing area has voltage run through it, an entirely separate circuit will run the same amount of voltage to the guard. When this occurs, an electric field will not generate between them because they share the same level of voltage. Instead, any other conductors that sit behind or side by side with the probe will form an electric field with the guard as opposed to the sensing area itself. With a guard in place, only the front of the sensing area will be able to form an electric field with the target because this will be the only area that is unguarded. Capacitive probes are also extremely reliable because of their durability. They’re capable of working in temperatures that can reach to as high as 1,200 F (650 C). They can also work in cryogenic temperatures (4 °K). Capacitive probes are often able to function in environments that are off-limits for other sensors. Capacitive probes have been known to work at deep depths in the sea and even in space.